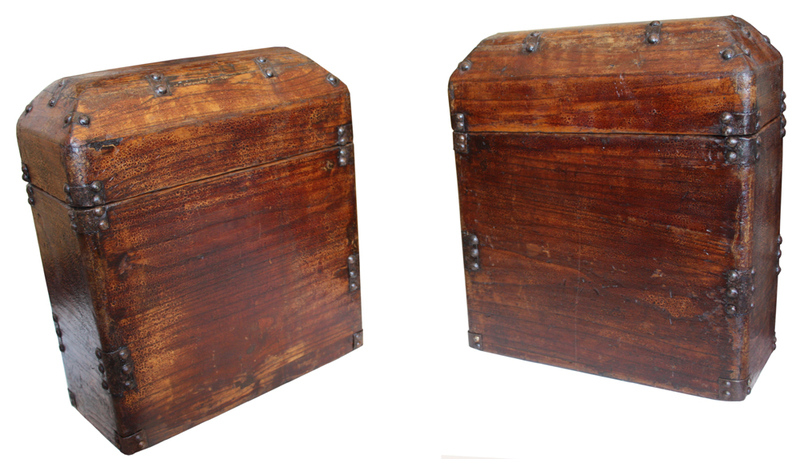 Rare Pair of Wooden Storage Box with Dome Lid and Tray; with good patina. Very rare shape. Elm wood.